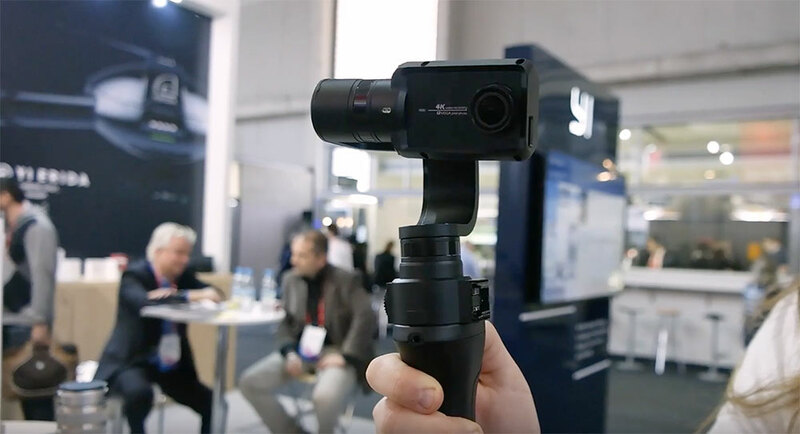 YI Technology already showed a new gimbal – called YI Handheld Gimbal 2 – at MWC 2017 in Barcelona. 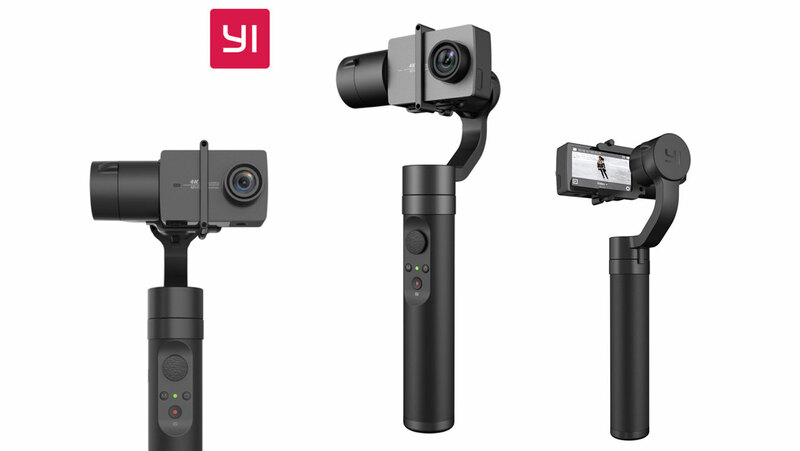 Now almost a year later the gimbal appears in their store with a slightly different design and a different name: YI Action Gimbal. Yi Action Gimbal holds two type 18350 batteries with 850 mAh each. Of course battery usage is dependant on usage, YI states 6-8 hours operating time. At the moment I’m not sure if the batteries are built in or exchangeable. It seems the gimbal is charged using a microUSB port on the left side of the grip. 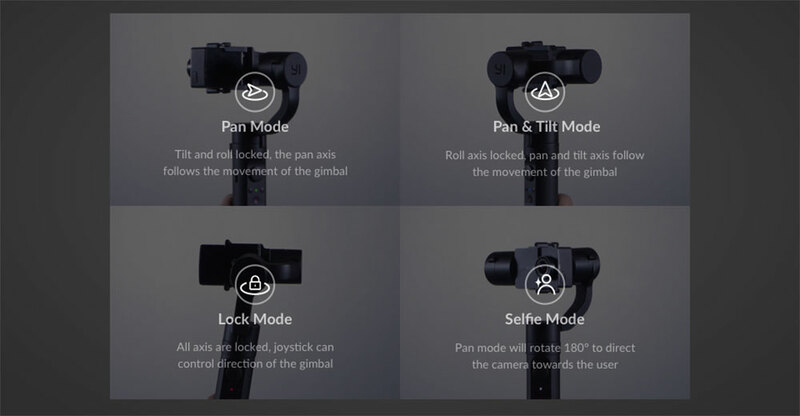 Yi Action Gimbal allows 320° rotation on the pan axis. I think that’s a bit of a bummer as most gimbals offer 360° rotation on the pan axis and allow easier operation. On the tilt axis rotation is 320° as well, but that’s common with many other gimbals, same as the 80° rotation on the roll axis. The control panel provides a flat joystick to control the head. The power & mode switch buttons sit below. 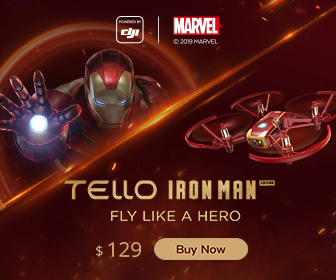 I’m not sure if the power button also activates the camera, it seems there is no physical connection between camera and gimbal. Xiaomi has a slightly different approach on their gimbal, where gimbal and camera are connected via USB port. But you can trigger the camera using the shutter button on the grip or change the camera mode. The buttons act like the ones no the remote control. 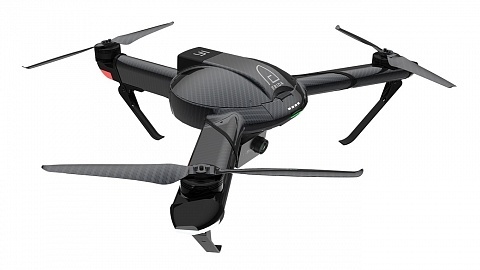 Same as the controller, the gimbal is connected via Bluetooth. In the middle of the buttons you can see a LED which is indicating the current operating mode. A green LED indicates Pan Mode, where the camera follows movements on the pan axis (also called pan-follow-mode). Red LED means locking mode where all axes are locked and the camera always points in the same direction. A blue light indicates Pan & Tilt Mode where the gimbal’s head follows movement on pan and tilt axis. The LED is lit pure when the gimbal is in selfie mode, hence the cam turns 180° facing you. You can mount Yi Actin Gimbal on a tripod or any other camera gear as a 1/4″ standard photo thread is integrated at the bottom. YI’s photo shows a variety of mounting options. But in combination with a clamp or suction cup I would prefer the existing YI gimbal that looks wearable. 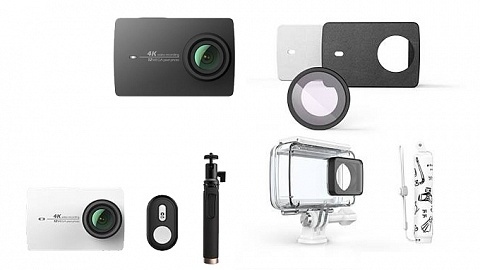 Yi Action Gimbal is compatible with YI 4K+, YI 4K and YI Lite Action Camera. 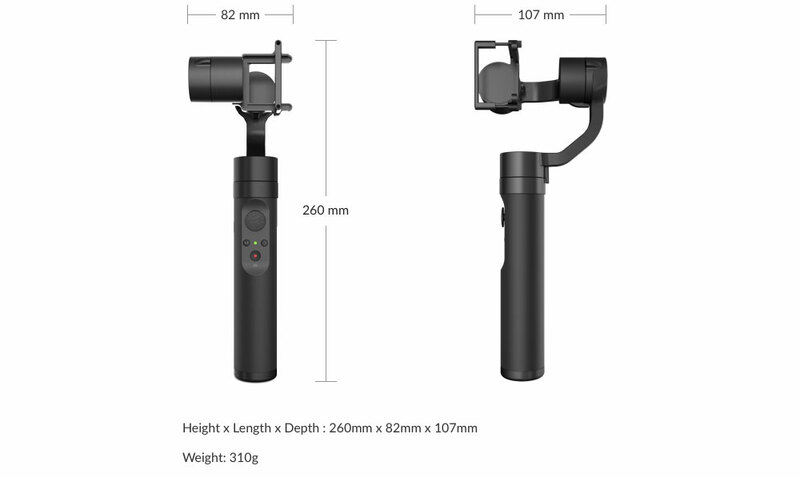 YI Action Gimbal is 260 x 82 x 107mm in size and weights 310g. Operating temperature: 0-45° C.
Here are my two cents after checking out the specs, but not testing the new Yi Action Gimbal. Controls – great to be able to start/stop recording using a button a grip. This makes operation much more convenient. It seems you can’t power the camera via the gimbal. Would have been nice to benefit from the large batteries in the gimbal’s grip. But I guess it was dropped since YI 4K+ has a different port (USB-C) than YI 4K and YI Lite (micro USB) to connect. Rotation – 360° rotation on the pan axis would have been nice. As for the YI Camera lineup of course this gimbal seems to be the first and best solution. Operating the camera via the gimbal’s grip makes it very convenient to use. The new YI Action Gimbal seems to be the ideal choice for handheld operation. When you want to mount your camera on a chest mount or suction cup, I would go with the existing Yi Gimbal. 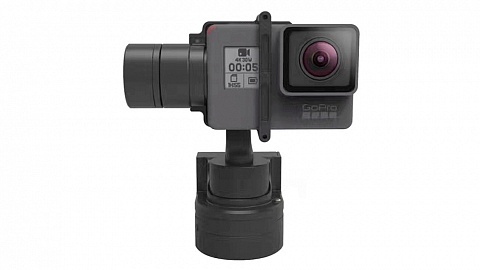 Another option is a gimbal for action cameras and smartphones, e.g. the Feiyu SPG or Zhiyun Smooth Q. 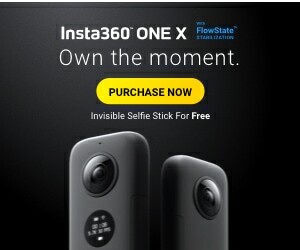 Their advantage is of course th fact that you are not limited to action cameras only, not even to a specific brand. On the downside there are some cons as mounting the cam is not that great and you can’t control the camera. There are discounts available when ordering with camera!